Are you locked out? Not to worry- we will assist at a fair price, day or night. This also goes for any lock service (residential, auto, commercial), 24 hour service is available. Give us a call for phone consultation and to have us come out. We work on the majority of cars past and present. Our services are provided at your location and include car keys replacement, transponder (chip) keys, car programming, lock repair, and car and trunk lock out assist. 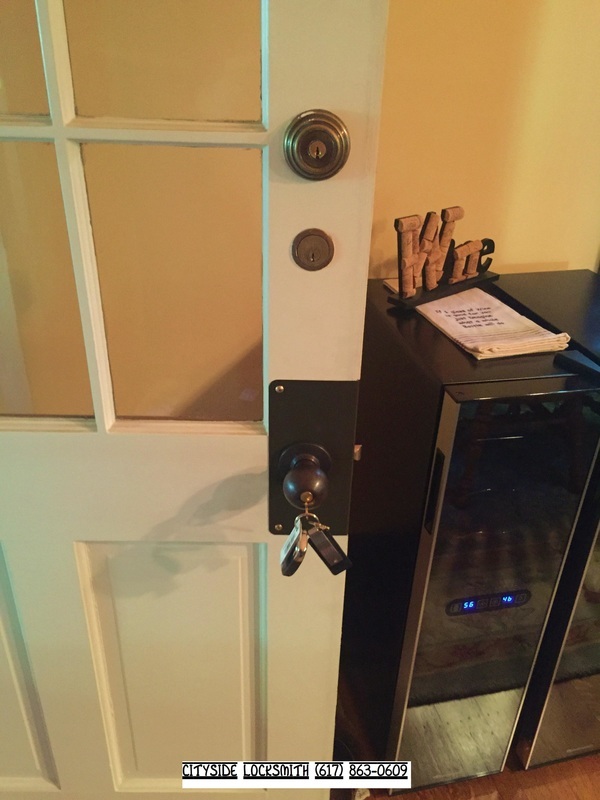 Cityside Locksmith is a mobile shop that comes to you; offering years of experience, proper insights to share, and the best advice on how to proceed. We will not make the decision for you, but help guide to the best solution to a problem. We stock quality hardware and stand behind our work 100%. We will always cherish making you satisfied and look to create a relationship with our clients. Cambridge has a large variety of different types of locks on its' residences throughout the city. 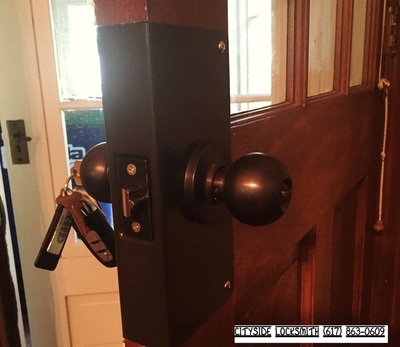 We are experienced with these many styles and carry the parts for repair and the locks to replace. 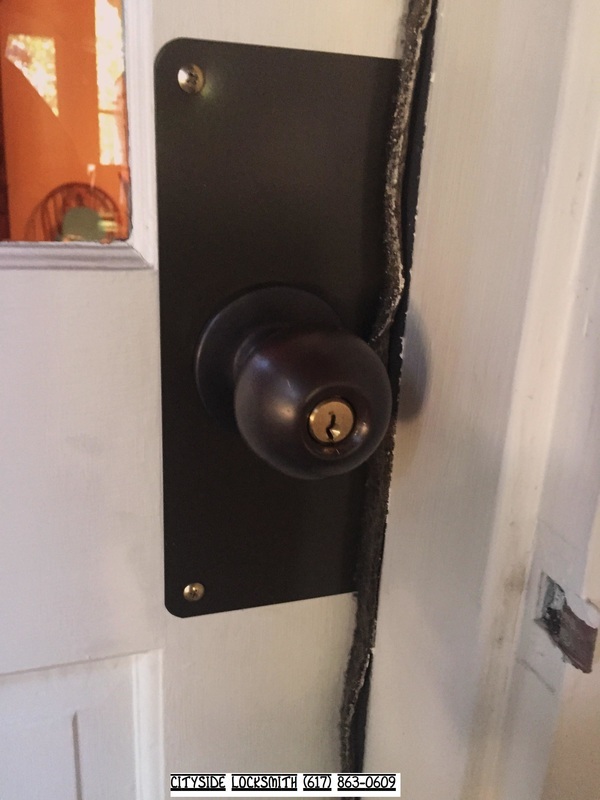 We generally encourage the preservation and restoration of old hardware, but this isn't always a feasible option. Below see a project recently completed July 2015 in Davis Square, Somerville. Job entailed removal of old failed mortise locks. 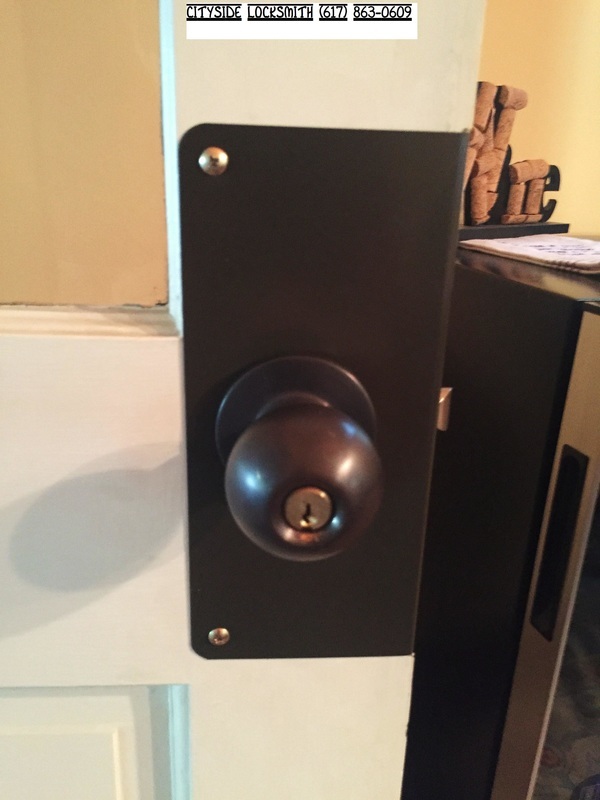 Installed in its place is a reinforcement plate and commercial grade entry knob lock. The end result is a highly durable lock system to last a long time. Another satisfied customer! 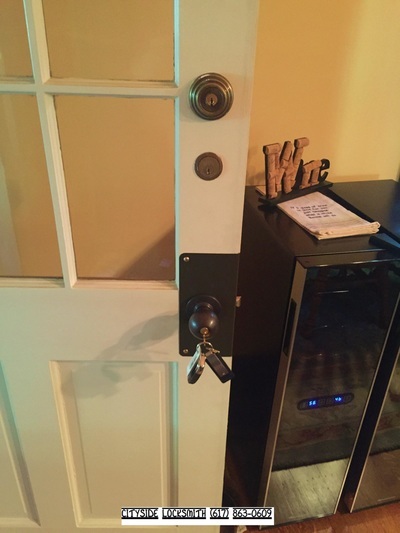 Cityside Commercial Locksmith Cambridge, Mass. Call us for a consultation. We specialize in all repairs, master key systems, IC core, heavy duty hardware, door closers, electric strikes for buzzer systems, keypad entry, panic bars, storefront locks, re-keying, and more. Same day service available. We will work hard to build a relationship with you; and want to have you as a repeat account.